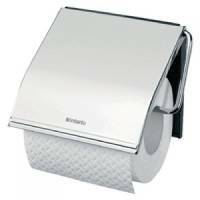 Classic Toilet Roll Holder Steel 383199 Pack of 1 Classic Toilet Roll Holder Steel. Corrosion resistant. Easy to fill. Plastic fixing plate. 10 year guarantee. Non returnable. 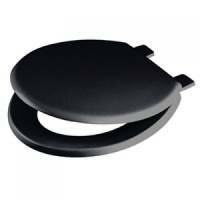 Emerald Toilet Seat and Lid Black 383207 Pack of 1 Polypropylene toilet seat with lid. Ideal for high traffic areas. Durable and easy to clean. Universal fitting. Colour: Black. Non returnable. 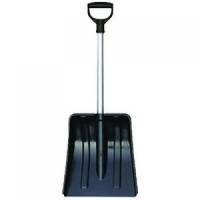 Yeti Car Shovel Aluminium Black 383696 Pack of 1 Car shovel with aluminium handle. Fits easily in the boot of a car. Ideal for use by delivery vans and personal cars. Light and strong. Weight 630g. Non returnable. Yellow Winter Salt and Grit Bin 200 Litre No Hopper 317055 Pack of 1 Winter Salt/Grit Bin No Hopper 200 Litre Yellow. 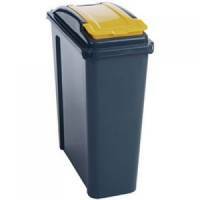 Robust, non corrosive bins manufactured from medium density polyethylene. Ideal for roadside, car parks and business premises. Hopper Feed dispensers from the bottom. Locking Lid. Non returnable. 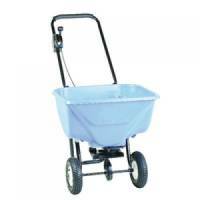 Winter Salt Spreader Red 351134 Pack of 1 Hand Pushed Salt Spreader, Blue. 30kg hopper with heavy duty gearbox. Large aperture drop hole. Rate control high on handle with easy read numbers. Spinner design with large 8 inch pneumatic wheels and a spread of 1.8 to 3.0m. Non-Returnable. 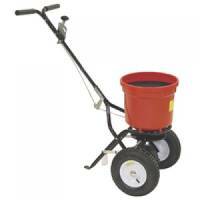 Mobile Salt Spreader 22kg Capacity 380944 Pack of 1 Easy to use salt spreader with pneumatic tyres and adjustable gear box. Supplied with rain cover and hopper screen. To be used with dry free flowing salt that meets BS3247. Hopper Capacity: 22Kg. Non returnable. 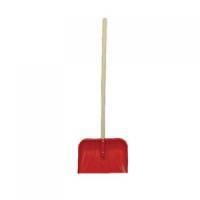 Red Smart Snow Pusher / Shovel 384055 Pack of 1 Keeps your pathways clear and safe from snow. Long handle for easy movement. Plastic blade won't damage road surface. Suitable for everyday use. Weighs just 690g. Sturdy wooden shaft. Colour: Red. 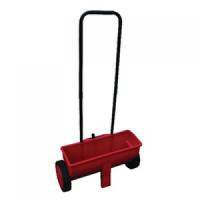 Red 12kg Winter Salt Spreader 383681 Pack of 1 Salt Spreader, Red. Suitable for dry free running salt. H x W x D: 1070 x 450 x 200mm. Variable flow rates. 12kg capacity. Non-Returnable. 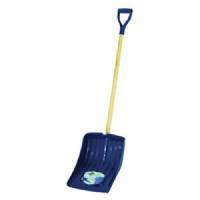 Winter Snow Shovel Navy Blue 383693 Pack of 1 Winter Snow Shovel Navy Blue 383693 Lightweight snow pusher ideal for everyday use. Wide plastic blade to make light work of heavy snow. Wooden shaft. Non-Returnable. VFM Recycling Bin With Lid 25 Litre Yellow 384283 Pack of 1 Grey bin with a choice of four lid colours for easy waste separation. Capacity 25 litres. W190 x D400 x H510mm. Made from 100% polypropylene. 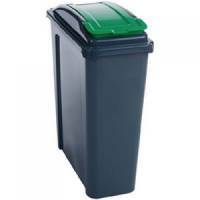 VFM Recycling Bin With Lid 25 Litre Green 384284 Pack of 1 Grey bin with a choice of four lid colours for easy waste separation. Capacity 25 litres. 25 Litre W190 x D400 x H510mm. Recycling bins made from 100% polypropylene. VFM Recycling Bin With Lid 25 Litre Red 384285 Pack of 1 Recycling Bin 25L Red Grey bin with a choice of four lid colours for easy waste separation. Capacity 25 litres. W190 x D400 x H510mm. VFM Recycling Bin With Lid 25 Litre Blue 384286 Pack of 1 Grey bin with a choice of four lid colours for easy waste separation. Capacity 25 litres. W190 x D400 x H510mm. Made from 100% polypropylene.